I do love the way the term “SuperMoon” has been adopted by NASA and astronomers, even though the event was originally labeled by astrologer Richard Nolle in 1979. In short a SuperMoon occurs when the moon is closest to Earth in its orbit. This particular SuperMoon will be at a closeness unequaled since 1948. Since Full Moons tend to expand emotions and the rise of tides, be wary of a potential powerful force. This is the Taurus Moon which looks for physical expression. If you feel tension, find a healthy outlet for that pent-up drive. Make time for romance or intimate contact. Get cozy. Today may not be the time for rallies of protest, since tempers can be hot, although it can be tremendous to calculate strategy. What gives the most impact? Let the moonshine wash over you with a conscious meditation that seeds you with the light of the Divine Feminine. Regardless of gender, it is time to honor every person’s desire to be held in respect by the tribe. The Taurus Moon seeks security. It supports the impulse for comforting food, shelter and to collect assets. When Full, it is lit by the Scorpio Sun. This ramps up needs and the possibility of reactions if those needs are not met. Scorpio is the sign linked to our deepest human connections and transformations; how we merge sexually, create life, die and invest. 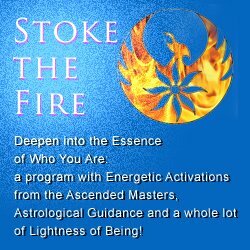 In its highest expression, we transcend the need to make someone hold one form forever; we understand that to evolve there is a continual shape shift required— this is the phoenix that rises from ashes. In Scorpio’s lowest expression the amygdala part of the brain reigns: fight or flight, often with a need for revenge. If you feel the impulse to sting (or are under attack), get to a point of perspective. This gives you the ability to integrate the tremendous force at hand. How can you direct passion to feed the need for security and results? 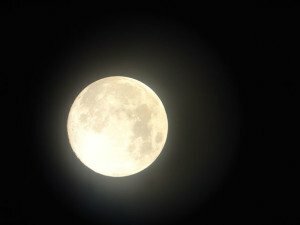 The Full Moon is exact at 8:52 AM ET on November 14 2016. If you want to see it at its juiciest, get out pre-dawn. The Sabian Symbol for the Taurus Moon is “A Jewelry Shop Filled With Valuable Gems”. Taurus wants to manifest what’s tangible. This symbol conjures things of material value. Metaphorically it suggests that a shop without content is simply an empty structure. You can paint a pretty facade but it is what is inside that counts. Taurus is not simply about possessions, but symbolizes your physical body. Do you have the inner strength to mirror what you project? This is not only health but spiritual well-being. If the present situation has you feeling short-changed, what or who offers support? Make a note to reach out and/or reach in. 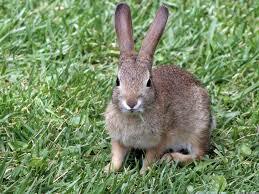 The Sabian Symbol for the Scorpio Sun is “A Rabbit Metamorphoses Into A Nature Sprit”. This absolutely whimsical image provides a lightness of being, especially in contrast with the prior symbol. To summarize some thoughts of Ted Andrews in his book Animal Speak — “rabbit is known for its ability to procreate, its fleetness, its ability to make great leaps and hops… often seen as an animal that can lead one unknowingly into the Faerie Realm. The most common example of this is found in Lewis Carroll’s store of Alice’s Adventures in Wonderland.. 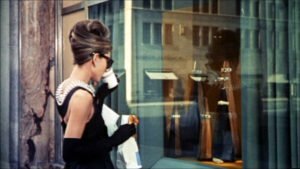 I use the pic of Audrey Hepburn in Breakfast at Tiffany’s because the story strikes me as another parallel for this Full Moon. Holly Golightly is intent to marry rich for security and beautiful things. She deems men “rats” because they always disappoint her. Except for Doc, the older man she divorced because she wanted to come to the city for more. So the Taurus Moon seeks what provides comfort, security and well-being. Yet in the film she ends up as news candy in a crime story which ruins her chance to marry a wealthy Brazilian. The Scorpionic exposure of what she denied as wrongdoing cost her. But her deeper revelation comes from talking with someone honestly. She allows her neighbor to see her for who she was as he takes the time to ask, to listen and to observe. When he judges her, she points out that he has his own attachment to comfort, and therefor they were equally guilty. It’s not a rabbit but a cat in the movie that Holly tosses out in the rain. She throws away her connection to the nature realm which gives her humanity, as she declares her allegiance to chasing wealth. Yet in the end, she runs back for cat and her friend because her hunger to transform and connect is stronger. These symbols offer a fascinating contrast as we reflect post-election. The Taurus Moon presents a symbol of wealth, but its value must be lit by the Scorpio Sun’s willingness to dig. Wealth is not simply possessions. Light your reality of power and resistance. Take care of your body and look deeply at whatever fears come up. This is a time to shift them even if slightly. Then again, you may be pumped, galvanized, empowered and directed. However you come to this, bring the light within. No matter how challenging, it’s time to look at it clearly. Only a willingness to do so gets you to the heart. Every degree change, no matter how subtle, strengthens you and brings the jewels home.